Ahmed advances to the November elections. 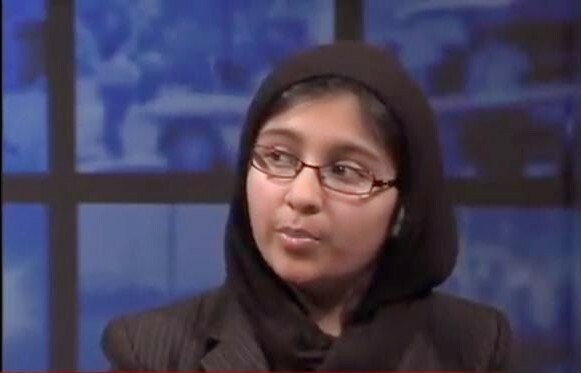 Raheela Ahmed, 22, has upset incumbent Jeana Jacob in the Maryland Board of Education District 5 primary elections. Ahmed received 9,624 votes as against Jacob’s 6,004 votes. She along with her runner up Cheryl Landis who got 8,072 now advance to the November general elections. “If Mr. (Donald) Trump’s views were a true reflection of Americans beliefs, I would not have won this election decisively. My district has around 56,000 voters and Muslims are less than one per cent of that,” Ahmed was quoted as saying by the Press Trust of India. “Mr. Trump can make outrageous and offensive statements for political reasons, but I am a strong believer that America’s diversity is our strength,” Ahmed said. She attributed her win to America’s diversity. If elected in November general elections, she would be the youngest Indian American to be elected to the coveted education post in Maryland. “The plan of action is to win the general election, which I lost by 3 per cent in 2012. I will be engaging all sorts of stakeholders over the next several months. I love grassroots campaigning…It’s the core of my candidacy,” she told PTI. Raheela’s father, a technology entrepreneur emigrated from Hyderabad at the age 25, while her mother moved to the US when she was five years old from Pakistan. “By attacking aspects of people’s identity like gender, ethnicity and faith, Mr Trump is dividing the masses. Strength comes from unity, collaboration, trust and understanding. If he really wants to make America great again, he needs to stop dividing and start uniting!” she added. She said she believes that no religion condones violence, extremism, or terrorism. Islam is no exception. “The majority of Muslims are peaceful people. The word ‘Islam’ itself means peace. Terrorists that act under the name of Islam are twisted in their understanding of the faith,” she said. “I’m representing individuals that largely do not identify with my faith, ethnicity, youth and gender, in a time where Islamophobia, racism and discrimination are around every news corner. However, this election win shows that people see what they want to see,” she said. “I won because more people connected with my shared values and aspirations than those turned off by my differences,” said Ahmed, who is currently an Advisory Associate with the Global Public Sector at Grant Thornton LLP.